How is BIM in Holland? When we talk about BIM, we often wonder how countries such as Finland, Singapore or the UK are managing its adoption. However, there are many other corners of the world where enormous efforts are being made to implement this methodology in the construction sector; a good example of this is Holland. 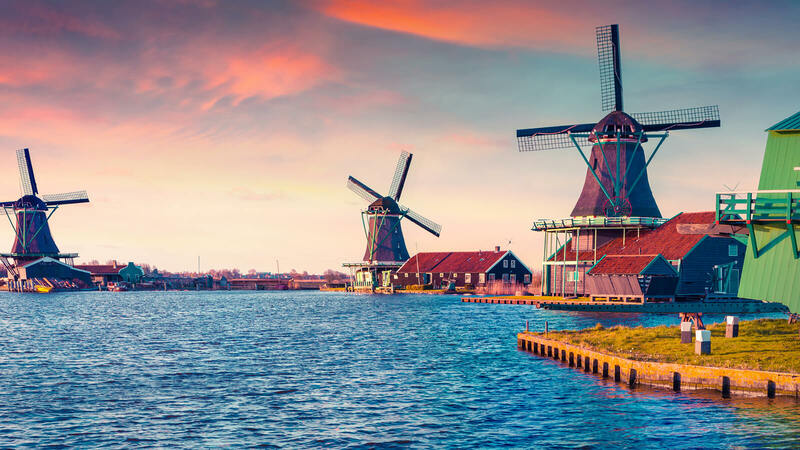 How does the Netherlands see the maturity of BIM in its territory? In May 2014, the University of Twente launched a two-year research commissioned by the Dutch Building Information Council (BIR) and the Dutch Association for Purchasing Management (NEVI) with the aim to study the level of maturity of organizations and to know the best BIM practices in the construction and civil engineering field. In order to measure the level of maturity of Building Information Modeling in several organizations, they developed a BIM maturity model, which later was translated into an interview format to be able to collect data from in-depth interviews. All this process counted with the support of master's students from the University of Twente. These organizations have been subdivided into seven subsectors, including architects, engineering firms, commercial and industrial construction contractors, civil works contractors and MEP contractors and suppliers. As organizations with less attention and expertise in BIM are not so open to participating in research, the interviews provide, primarily, a view of BIM's maturity level of the leaders of the industry. Therefore, the results are not representative of the entire sector. The results of this sector analysis and the full report should be known as the first result of the design project, carried out these two years. The next step will be to include an assessment of the BIM maturity model based on results and experiences during the sector analysis. The resulting improvement points should be accounted for in the development and refinement of BIM's maturity model. This improved maturity model can be used for a second sector analysis, which will broadly assess the BIM maturity of the industry through a survey. Alongside this, some case studies will be used to investigate BIM maturity best practices and the level of projects in more detail. The Rijkswaterstaat (the Dutch General Directorate for Public Works and Water Management) is one of the biggest clients in Europe and leader in BIM implementation. Every year, it places orders for construction projects and services nearly €3 billion, and it is responsible for design, construction, management and maintenance of the main infrastructure facilities in the Netherlands. On its road to work in better communications processes, the Rijkswaterstaat has chosen a path towards becoming an exemplary ‘Asset and Information Manager’, paving the road for using openBIM standards on all infrastructure projects in Europe. Actually, it is possible to find a few examples of open standards in the Netherlands. They have developed the Dutch Information Exchange Standards in the Netherlands (VISI), which are already in practice. It consists of providing well-documented requirements of the data structure that need to be exchanged and have different requirements regarding the data exchange itself. It's something very similar to the processes carried out in the UK. The BIM maturity of the organizations has been evaluated on the basis of several criteria: Strategy, structure of the organization, culture, processes, IT and information. Almost all of the distinguished subsectors attach great importance to the development of BIM strategies by establishing an organizational vision, specific BIM implementation goals and plans. In addition, this criterion consists of the allocation of financial resources, as well as the provision of experts in the field (BIM) that support the implementation process. Instead, organizations must still work on processes and procedures and organizational structure. It seems that these aspects have often lagged behind in the rapid development of BIM in recent years. In addition to the issues related to the BIM maturity criteria mentioned above, a considerable part of the interviews were devoted to questions about the use of BIM, its implementation in work processes, the reasons for its bet and the barriers that can brake the adoption. Los motivos más importantes detectados para el uso del BIM la necesidad de las organizaciones de trabajar más eficientemente y reducir los costes, así como en la externa solicitud del cliente. El predominio de la motivación externa es a menudo corresponde a un limitada planificación estratégica y una posición más flexible en los proyectos. Regarding the barriers to the implementation and development of BIM, the level and knowledge of BIM and the experience with it in organizations is an obstacle to its adoption. In relation to this topic, the research results show the dissatisfaction of respondents with the maturity of BIM projects and strategic partners. If they can not cope with the planned BIM methods or if they can not deliver what they have promised in advance, the desired result of the required project will not be achieved. On the other hand, some interviewees revealed the need to improve the contractual incorporation of BIM. Access through the link to all the material that the Dutch Building Information Council (BIR) has developed in the Netherlands to solve their BIM needs.